These are both examples of ways you can mold Merlin’s Magic. 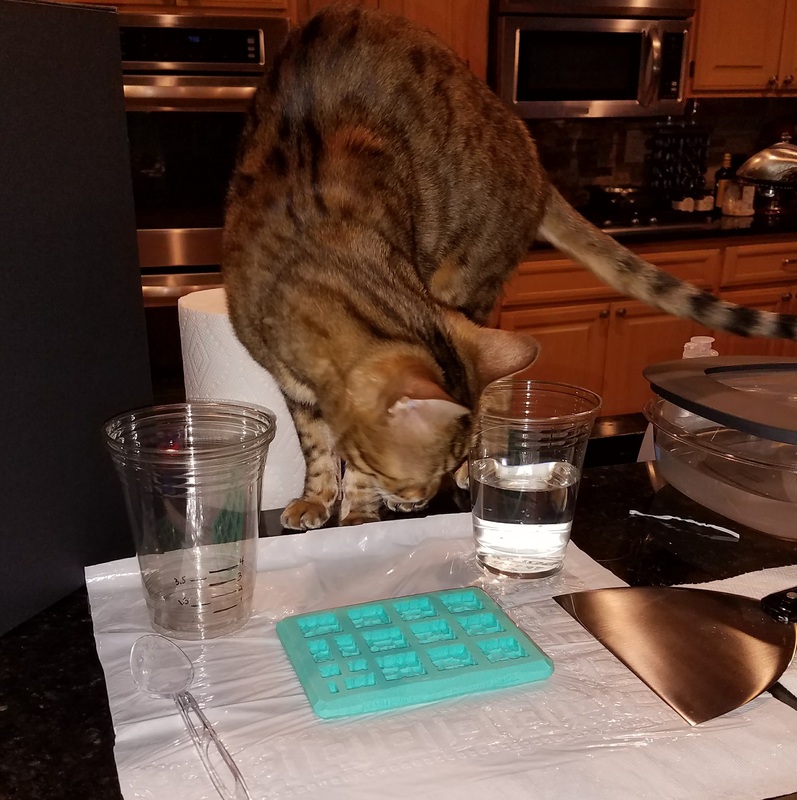 You’ll need at least, a way to protect your work surface, a scrapping device, your mold, a way to measure, mix, and hold your liquid Merlin’s Magic. Paper towels are not a bad thing to have on hand, if your are accident prone it would be prudent. The last three I’ve combined in the plastic cup methods see the page on Measuring for how to make and use one. Having a scraper on hand is handy, usually just pick one up at your local hardware store for paint will work fine. I’ve tried this with the one’s you can find in ceramic kits and they are both short and usually have an edge that may cause issues as well. Disposable table cloth piece. Your grocery store may have these plastic/paper mix disposable table cloth for picnics, and they work well and cut into easy sheets. The minion is displaying this option for you above. Heavy Paper plates. I’m not talking the paper flimsy ones, they usually have a raised edge that won’t let the mold fit and do not always sit flat. Chinet have worked well with only one or two having a bump in the middle. 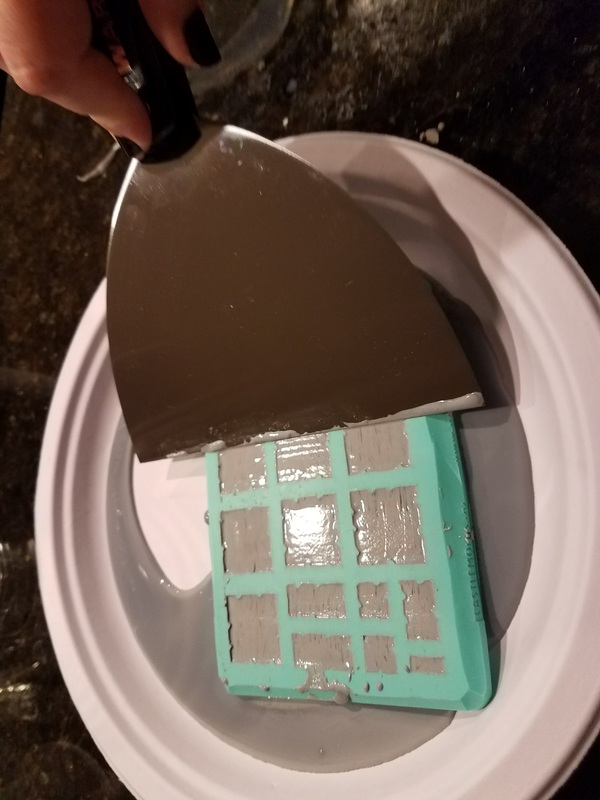 Foam plates sometimes come in rectangles (not the divided ones), and unlike paper plates, the excess pops right off leading to being able to be reused. I suggest doing this before you start mixing Merlin’s Magic because it will set in decent time. 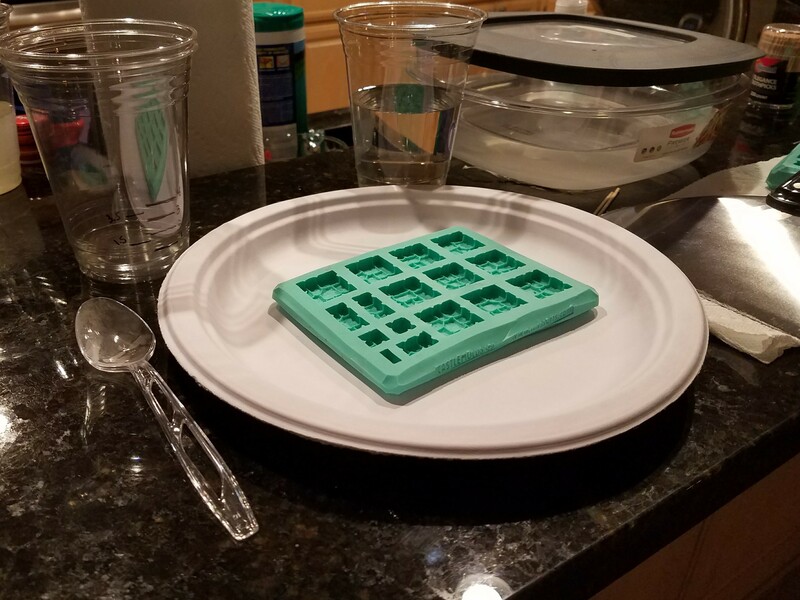 The other option is you get a final product of hardened cup contents… that may not come out of the plastic cup. 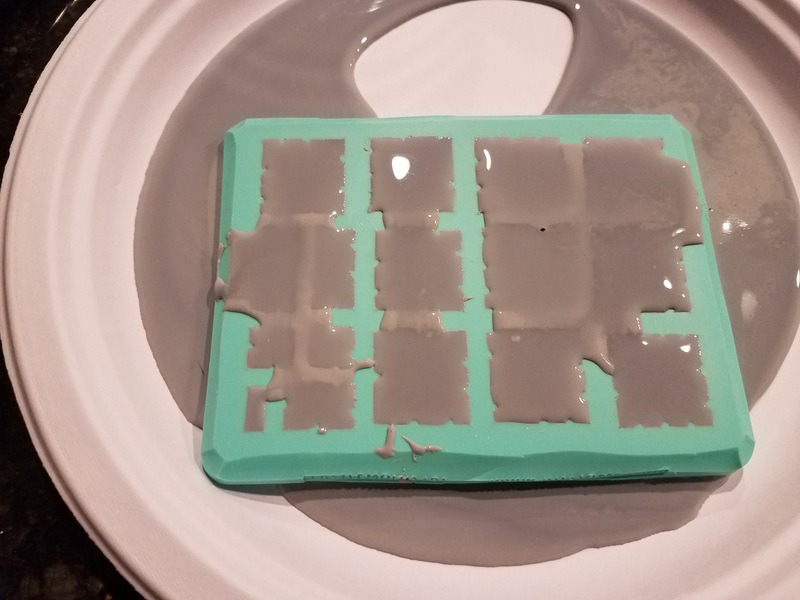 You can find Mold Prepping Instructions following the link. 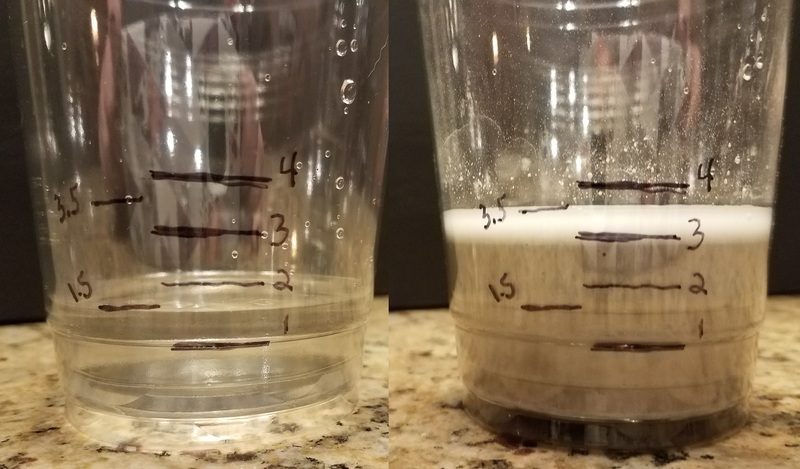 This is where your plastic cup method is useful, if you add your water to your cup and then fill the rest of the way with Merlin’s you will end around the 3.5 ounce mark. Then start to mix it, I suggest mixing for at least a good minute. 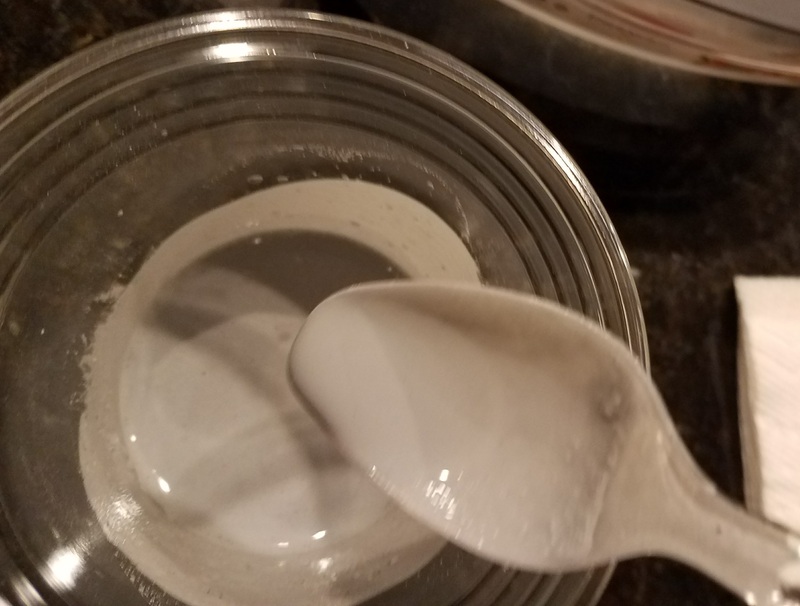 Keep in mind this will be a very thin mixture if you are used to molding with plaster of paris or similar materials. In the end it will seem like *slightly* thick milk consistency. I’ve not seen any difference between pouring on the ridges or pouring into the shape directly. In the long run I can see it helping with the crispness of the edges over time to use the ridges. This is also why I like the paper plate method better, if you do have run off your not worried about where the runoff is going to keep running off to! This is the part you don’t want to forget, I give it about five minutes and then scrap off the excess and flatten the mold pieces from the above slight beading. 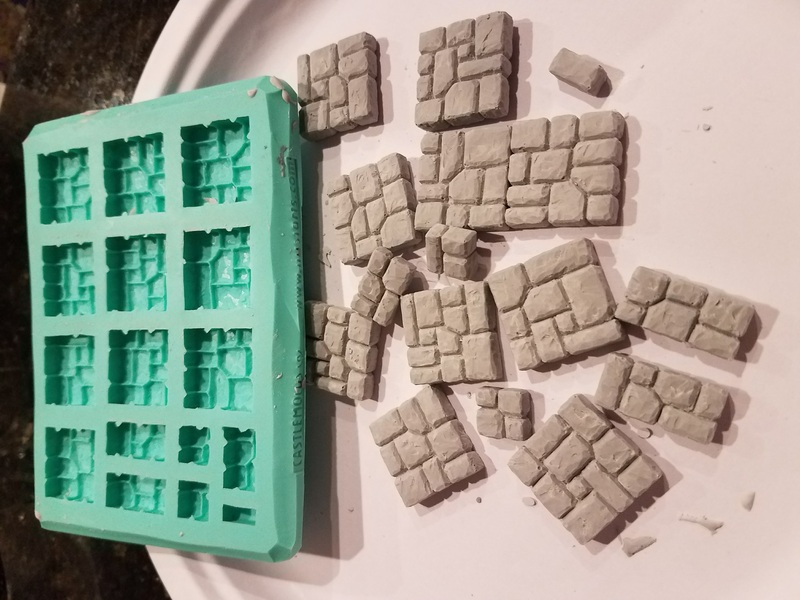 Gently pull the pieces from the mold, repeat as many times as you need to for your project! Allow the pieces to completely dry before adding glue for assembly.